Need a Break from Slots? Give Bingo a Try! There are an awful lot of slots on the market now — and that’s a good thing of course. But sometimes you want a break from the reels, even when you’re running hot, as we know from personal experience. Table games can sometimes be just the ticket, and a good slots player will often make a great Roulette master; or perhaps you prefer employing a bit of strategy and judgment and playing BlackJack or Casino Hold ‘em against the house. But sometimes you just need … a change of scenery, and that’s where Bingo can come into its own. Now we know a lot of you will be scoffing at the very mention of the word, particularly if you’re from the UK where it’s often seen as the preserve of old ladies, but hold it right there! Bingo provides plenty ways to win and can be a lot of fun too — and quite frankly if you’re playing online, who cares who else is playing alongside you! There are a couple more things to say about Bingo that you may not know about. First, the rules of Bingo areÂ somewhat different than the rules of Keno. We aim to cover the latter first, but nonetheless you should bear in mind the 2 games require a different approach. Now, Bingo itself, which is offered at many online casinos, comes in 2 varieties. In both cases, the numbers are ‘called’ live as with the bricks and mortar version, but the number will be displayed on the screen. You may be responsible for ticking off numbers you have as they come up, or this may be done automatically. You will need to wait until a new game starts before playing, but since the game is played online over a wide geographical area with most, bigger casinos, the wait won’t be lengthy! 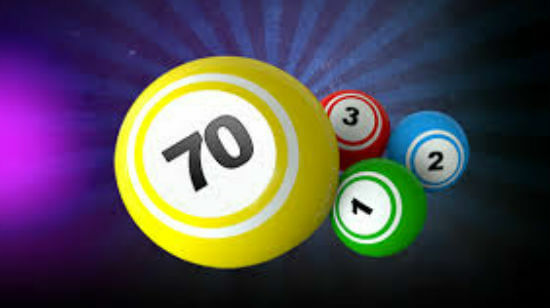 There are 2 main categories of Bingo, 90-ball and 75-ball (so called because the physical game relies on balls shot at random out of a hopper); in the 90-ball variant you aim to get a lineÂ of 5 in a row before anyone else. You don’t need to choose the numbers, just mark your card as it comes (or the casino will kindly do that for you) and be sure to click ‘House’ or ‘Bingo’ as soon as you have the 5! This is absolutely crucial, don’t wander off and do something else, as you may end up missing your chance to claim winnings! With the 75-ball variant, you usually have to match marked-off numbers to a pattern as appearing on the card, rather than getting a line. In any case, of course always have a look at the rules specific to the casino you are using and the type of Bingo on offer there, as there can be small variations. There will usually be a 1st, 2nd and 3rd place prize with the 90-ball version, and just the 1 with 75-ball; often the winning sums can be pretty big — depends on the game and how many are playing, so always check. The other great advantage of playing online is that there can potentially be far more playing than could fit into a physical, bricks-and-mortar Bingo hall, and with most casinos you can also play for free as a way of learning the ropes before committing yourself with real money wagers!